I’m not blogging about my class reunion. If you want to have as much fun as I had, get your own class reunion. I had a nice long four-day holiday weekend. Instead of milling about the house, I actually ventured out of town. 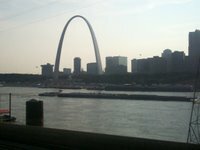 On Saturday, Shana and I headed for St. Louis. She wanted to go the Science Museum. It was really hot, so the zoo was ruled out. Since Kennealy lives in the area, I called him to make lunch plans. People that get up to go to work every day tend to work up at that same time even on the weekend. We hit the road from Taylorville at 8:45 AM. Along the way, we stopped at the Homestead Rest Area. When traveling on I-55 towards St. Louis and looking for a quick pit stop, I recommend this rest area. This meant that we got to Fairview Heights at about 10:30, far too early to eat lunch. I was hungry (and had to answer nature’s call), so we headed to the food court. 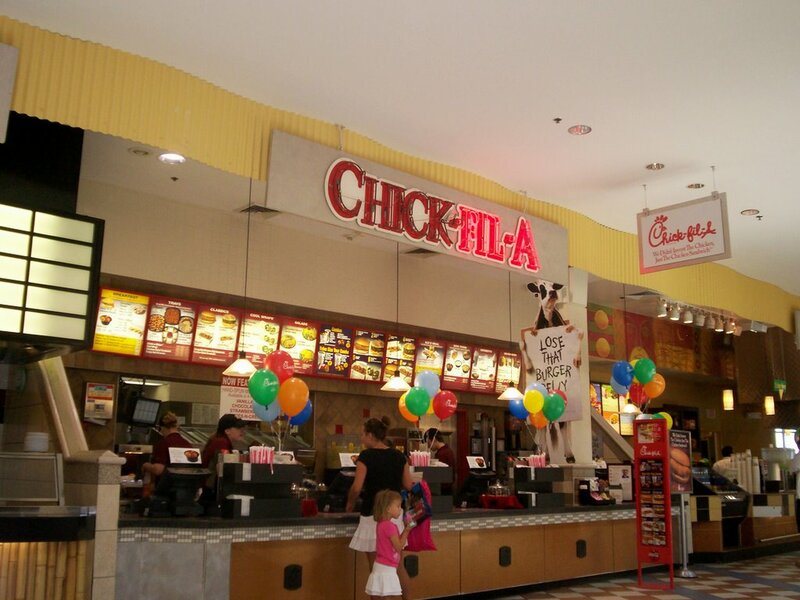 Lo and behold, there was a Chick-fil-a. 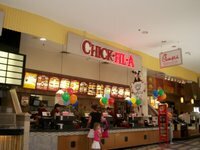 Mmmmm Chick-fil-a! I haven’t had Chick-fil-a since the last time I was in New Orleans in 1997. It is so tasty. I scarfed down some chicken nuggets. We met up with Kennealy and headed to the Chuck Wagon for some lunch. 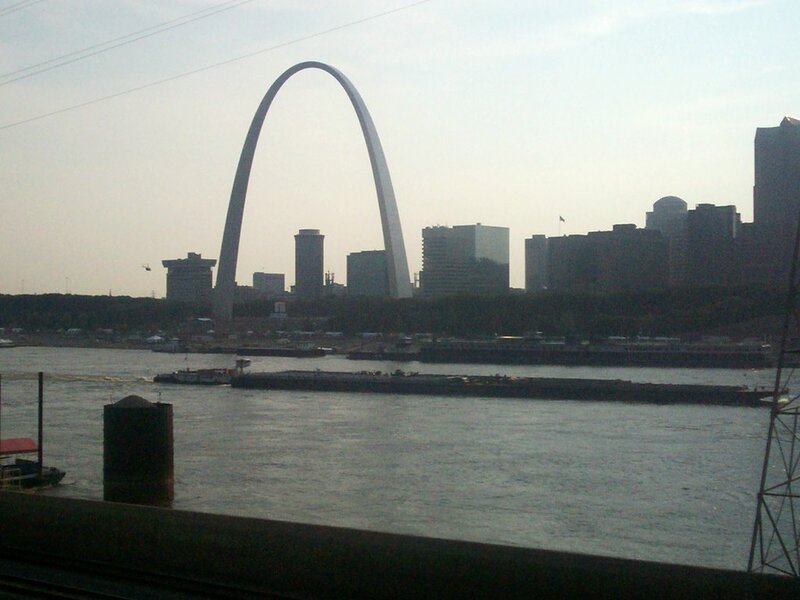 After lunch and sitting around talking for about two hours, we all headed into St. Louis. Kennealy, because his plans for the afternoon changed, played tour guide, taking us around downtown on the train. We went by the accursed Busch Stadium and were surrounded by Cards fans heading to the game. I never felt so violated until I actually stepped into a Cardinals Clubhouse store at Union Station. I felt nauseous, yet didn’t burst into flames as originally thought. After spending a few hours with the little brother, I returned home. Sunday night was the fireworks. Monday was a day of rest (not that I didn’t sleep Sunday away either). Tuesday I went to Decatur to have lunch with my mom, step dad and aunts and uncle. My newest nephew (step-nephew I guess) is due to arrive in early September. The right rear tire went flat Monday night, so I had to get a new one this morning. An hour and a half late for work, but I only have to work two days this week! Friday is my off-day. I’m going to rest during this three day weekend!